I am thrilled to share some news with you. 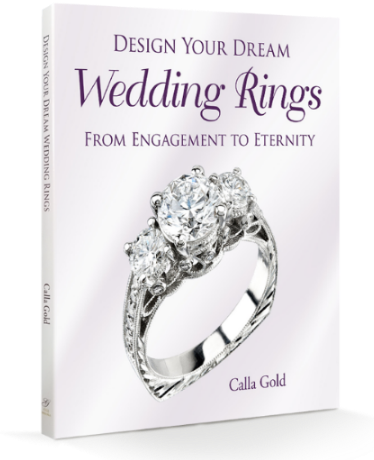 Over the last year and a half I have been working on a new book titled Design Your Dream Wedding Rings: From Engagement to Eternity. If truth be told, the idea came to me ten years ago, so it’s been a long gestation period! I have put my whole heart into this project in an attempt to provide valuable guidance for couples to clearly communicate to their jewelry maker what they want in their engagement and/or wedding rings. It has been an enormously rewarding experience and each day I find myself using the advice I have outlined in the book! Now, I am writing to ask you to pre-order my book for yourself or as a gift before the book officially launches on Thursday, February 14, 2019. Here’s the fun part! As a jewelry lover, I bet you have a ring you love that would appreciate a cleaning and polishing. 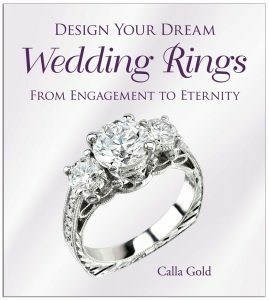 Therefore, anyone who pre-orders my book on Amazon (https://amzn.to/2T73uRk) from now until February 14, 2019, and forwards the pre-order confirmation from Amazon to callagold@gmail.com will receive a free ring cleaning and polishing, as well as my sincere thanks! Design Your Dream Wedding Rings outlines my method of finding out your personal style and helping you design your dream ring, but it’s not just for wedding rings. It’s about confidently having a custom designed piece of jewelry made, whether it’s a pair of earrings, a pendant, or a ring. 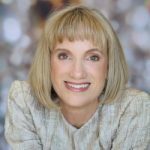 I believe there is a jewelry designer in each one of us and this book will help you get what you want in a custom designed piece of jewelry. I hope that you will help me make this book a #1 bestseller in its category on Amazon on February 14, 2019!